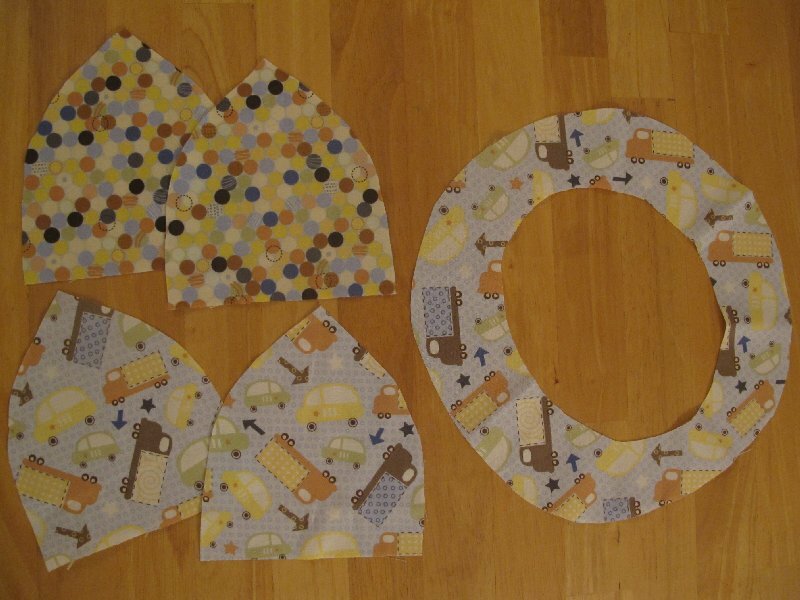 These are the shapes I cut out. 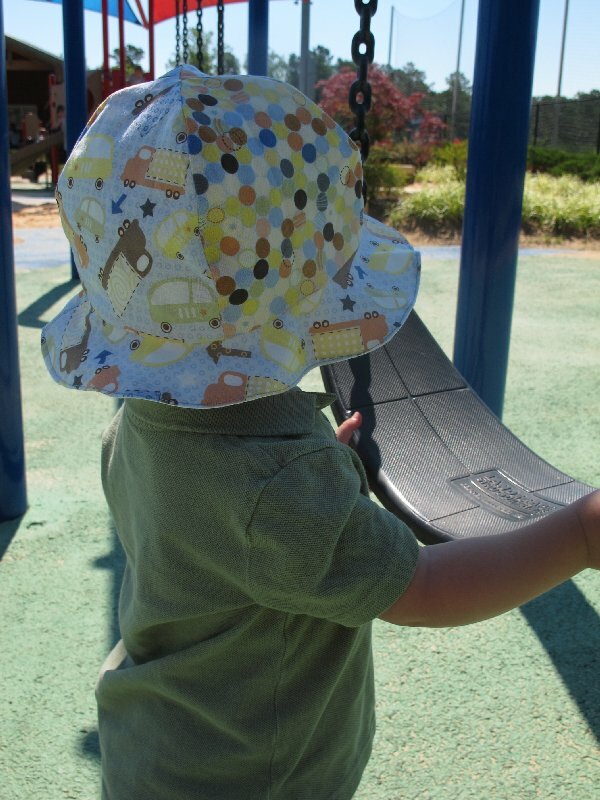 The hat is made up of 4 panels and a brim. 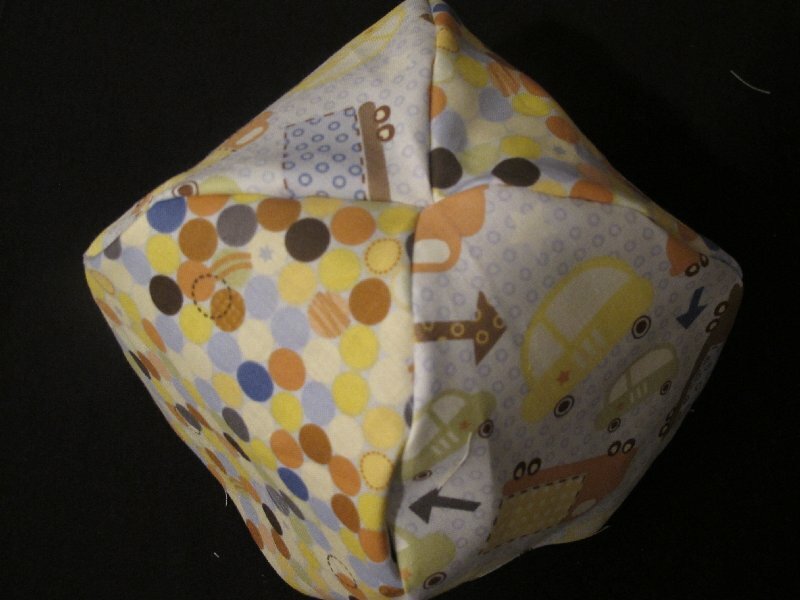 To get the right size, I did a lot of "guesstimating" with plain white fabric that I didn't mind using up. 4 panels, 2 different patterns, 2 panels in each pattern. Pin right sides together, ending up with 2 sets. Each set should contain a panel from each pattern. 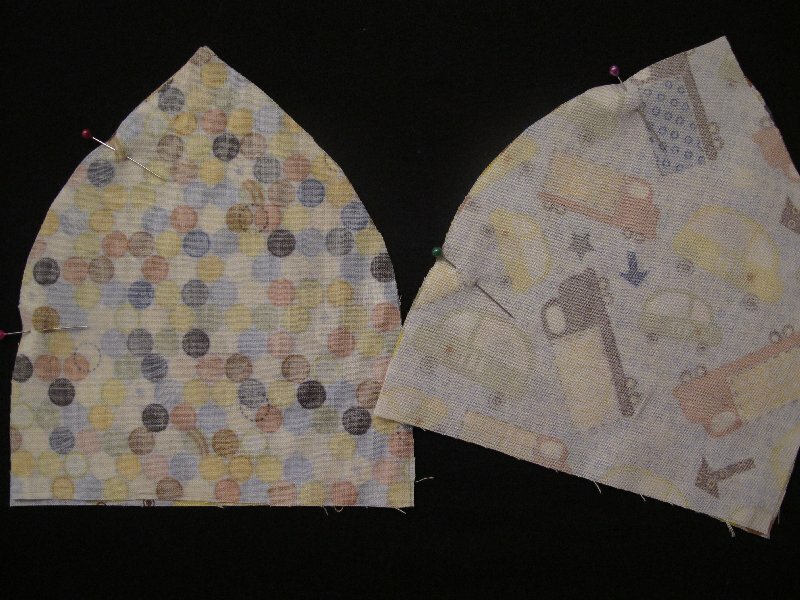 Sew down one curved side on each set of panels using a 3/8" seam. 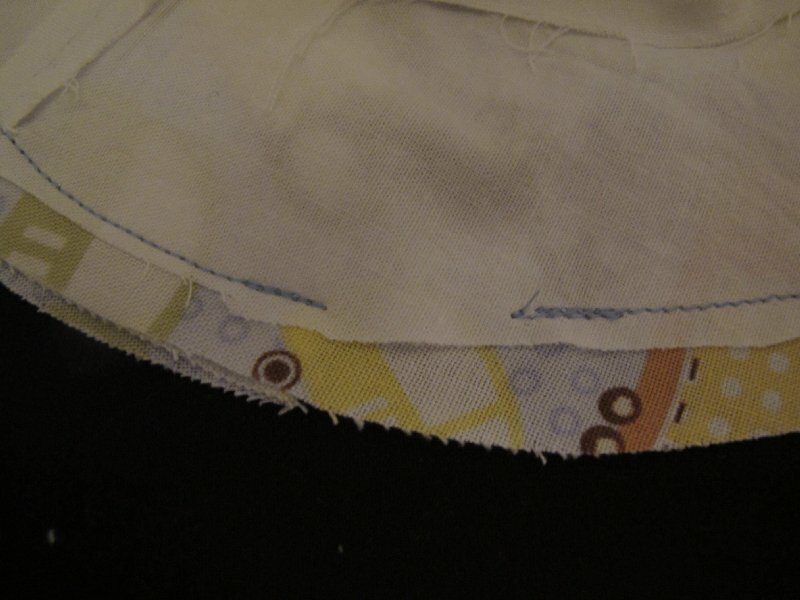 Please Note: Do not sew all the way to the tip of the panels! This will make it easier to attach all 4 panels later. 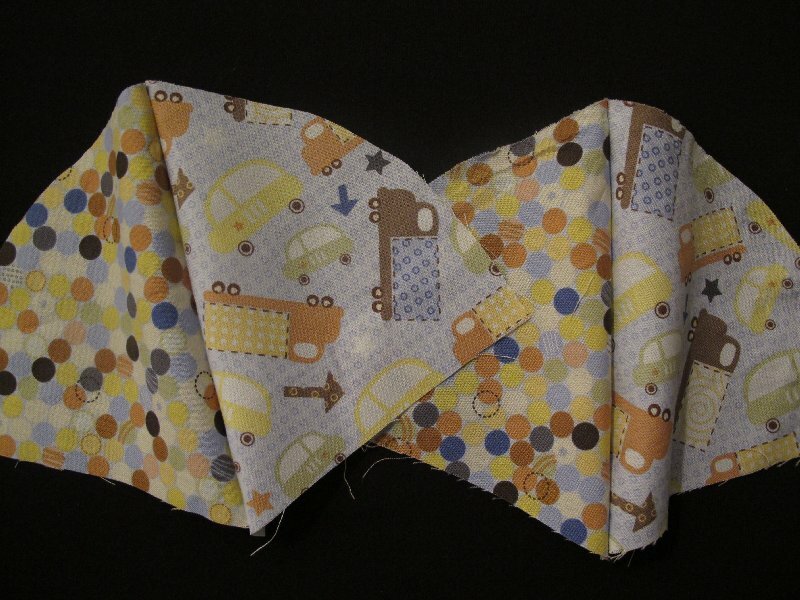 Now sew all 4 panels together. 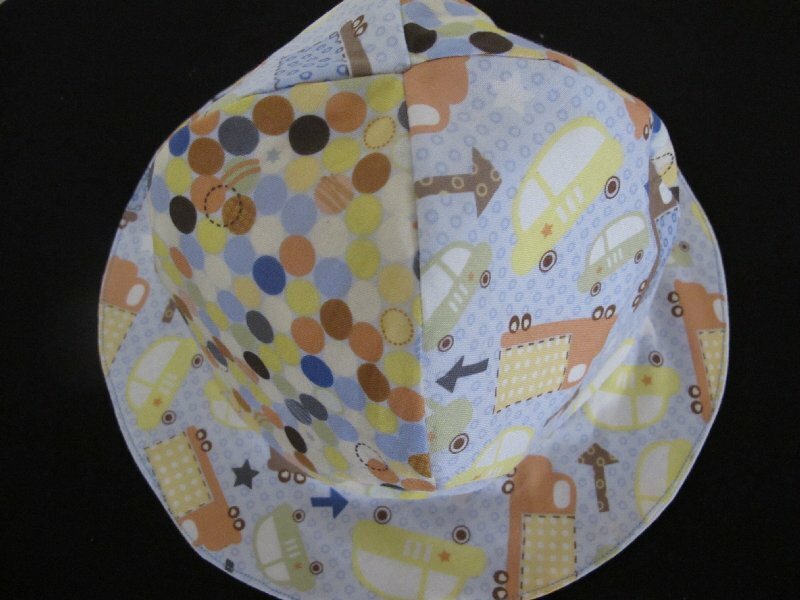 To add the brim, pin the circle piece to the bottom of the hat with right sides together. 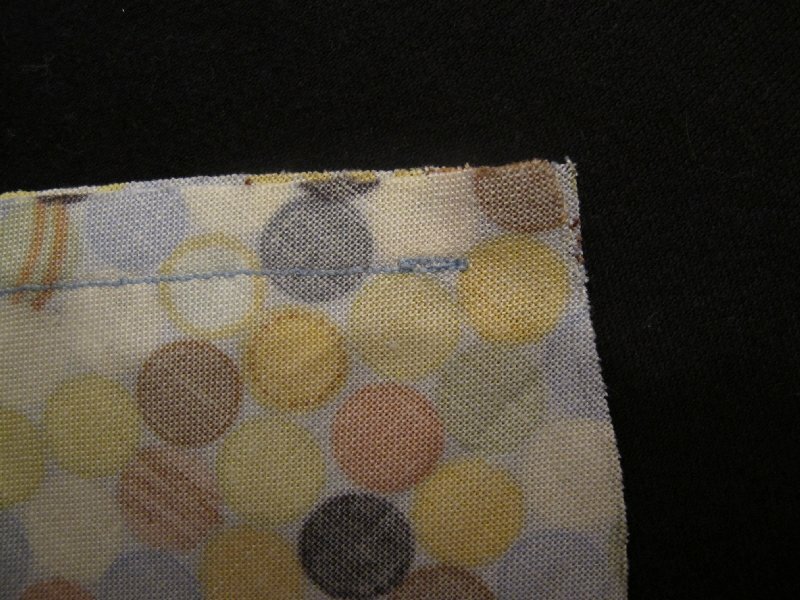 Then sew all the way around using a 3/8" seam. This white piece is the inside lining of my hat. 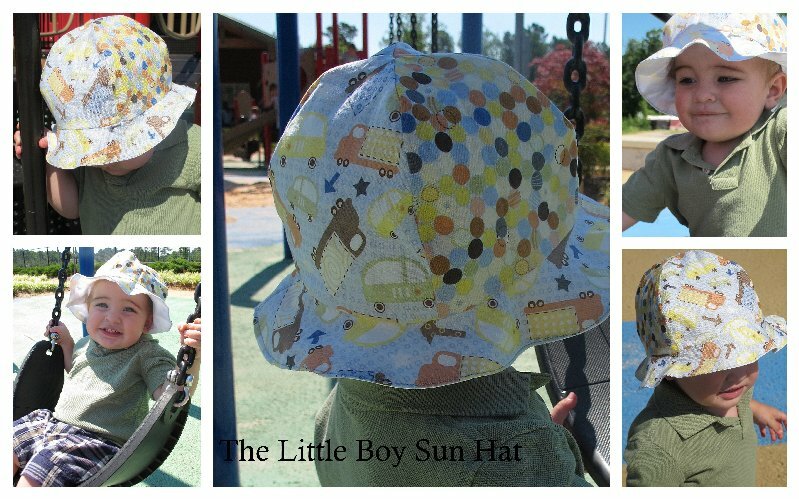 You could also use a pattern fabric and make the hat reversible. 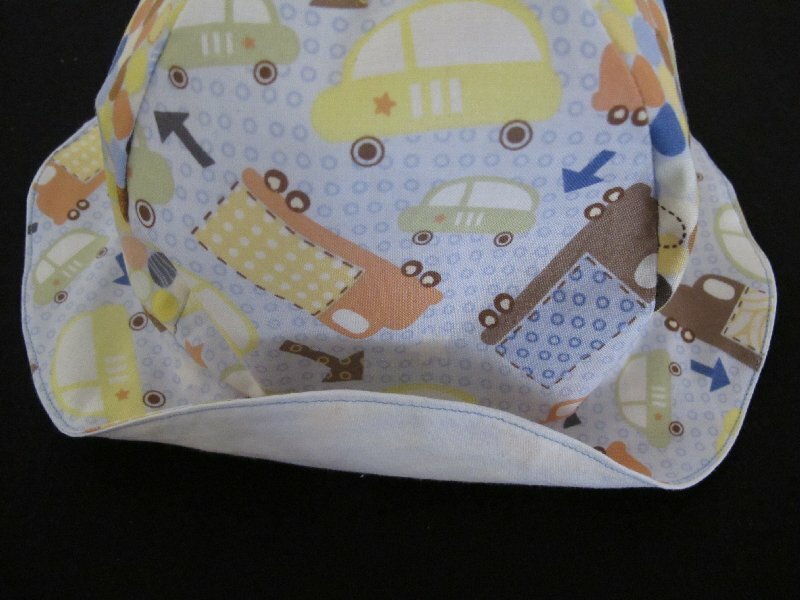 Make sure when you sew the brim on the lining of your hat, that you pin it to the inside of the dome shape rather than the outside like you did before. This will keep all of our raw edges on the inside of the hat. Put your inside and outside pieces together. 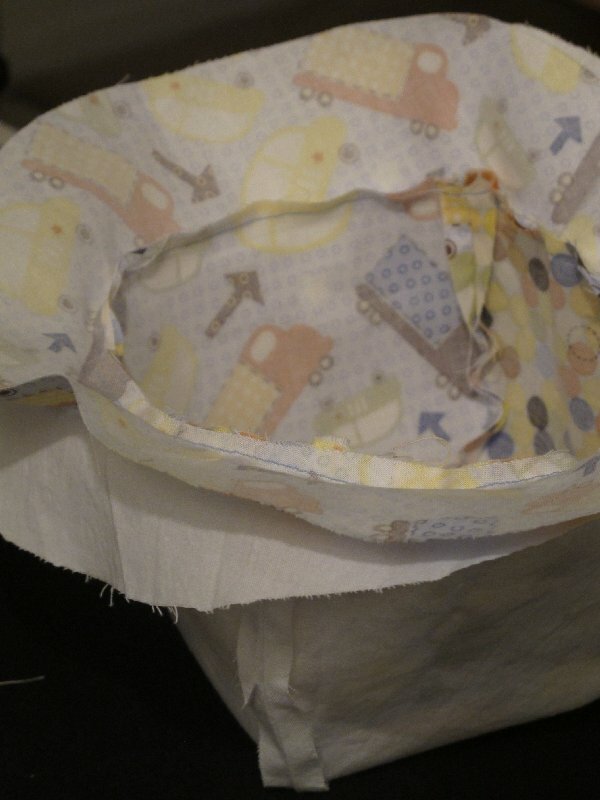 To do this, place your inside lining with the raw edges on the outside. 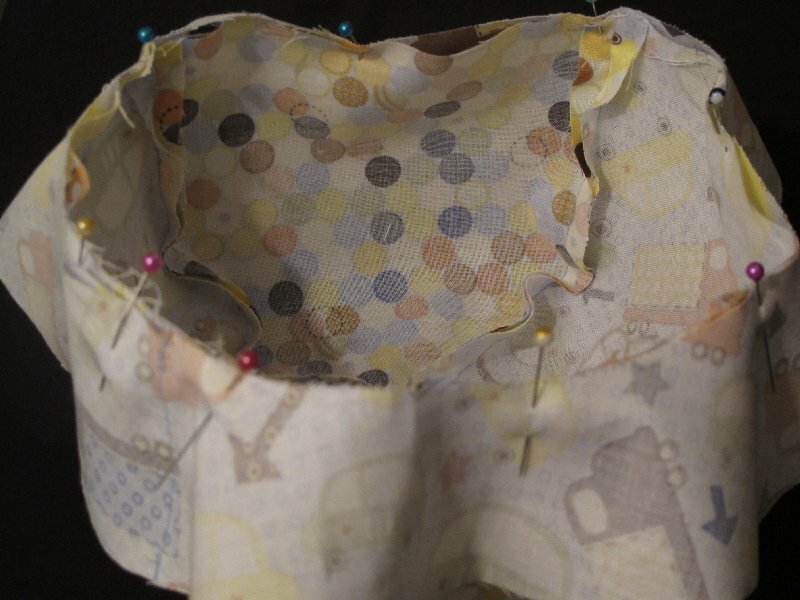 Then, place the outside piece inside the lining. You should now only see the raw edges showing on both parts of the hat. 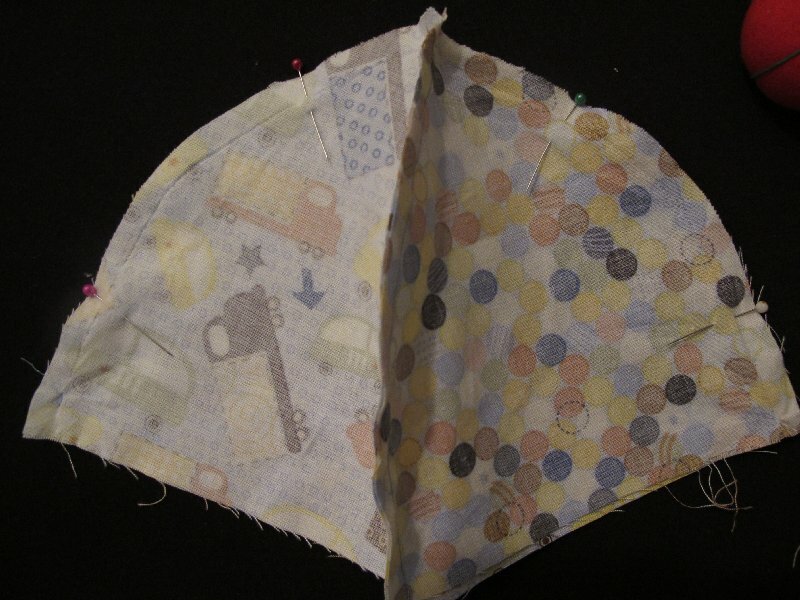 Pin the two parts of the hat together and sew around the brim. 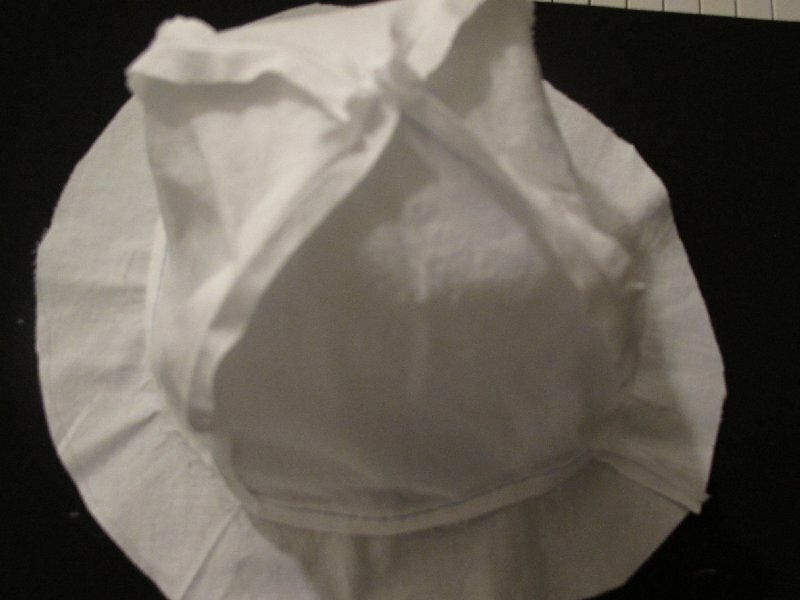 Leave a small opening so that you can flip the hat right side out in a minute. 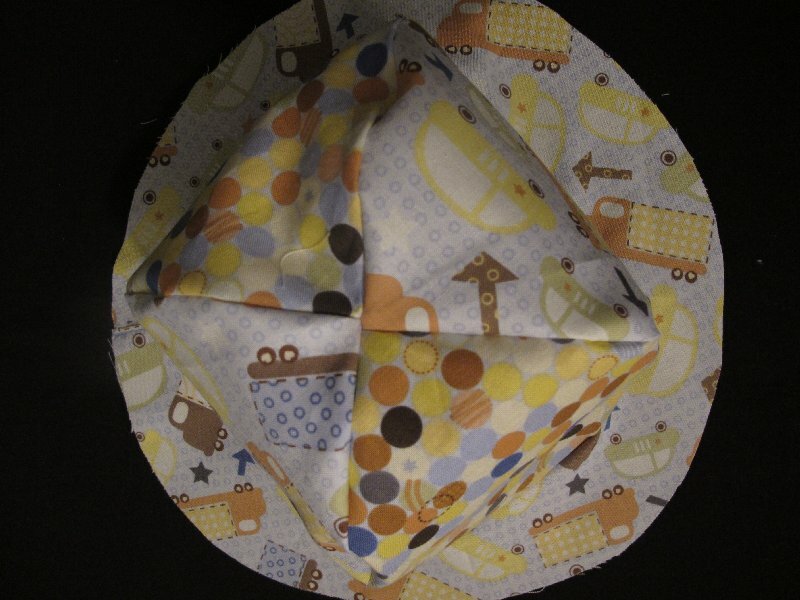 After you flip the hat right side out, tuck the edges inside of the hole that you left open. Iron and then sew around the brim once more. This will close your hole and leave a clean crisp look. Now, go enjoy the sunshine!